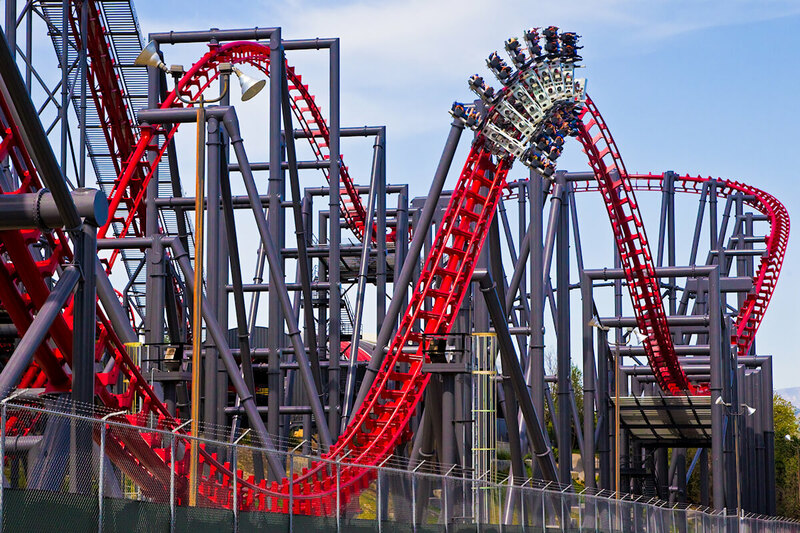 This coaster starts out with a huge drop at 215 feet and a slope of 88.8 degrees. 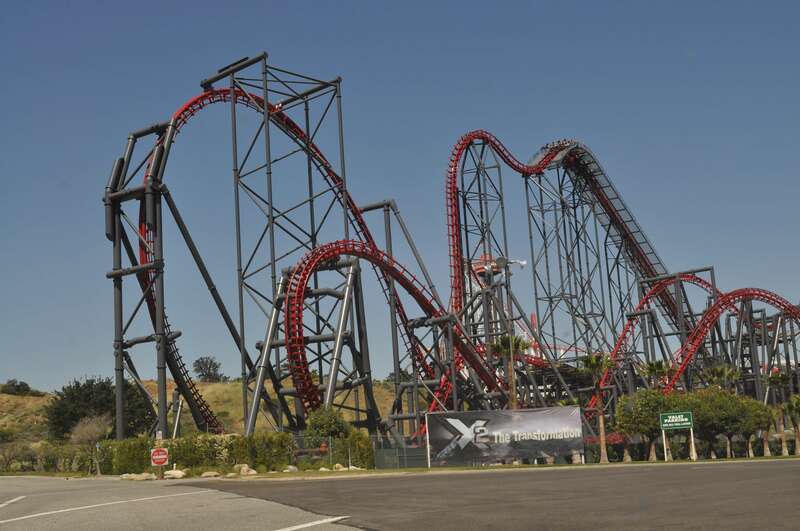 X2 (or Xtreme2) was built to be the world’s first 4th dimension roller coaster. 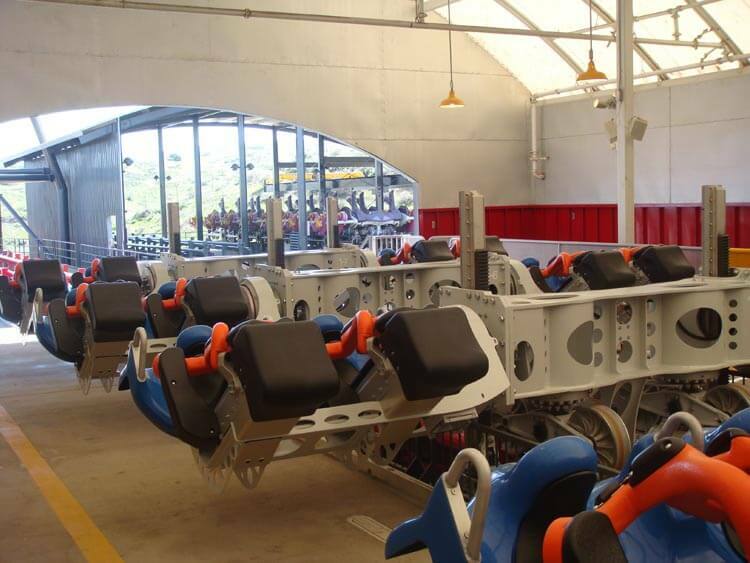 The 4th dimension design is a coaster containing cars that rotate from a rack and pinion gear mechanism that moves up and down relative to the track. The ride was originally named X or Xtreme before it was transformed in 2007. The transformation added 3rd generation trains and a pair of flame throwers. 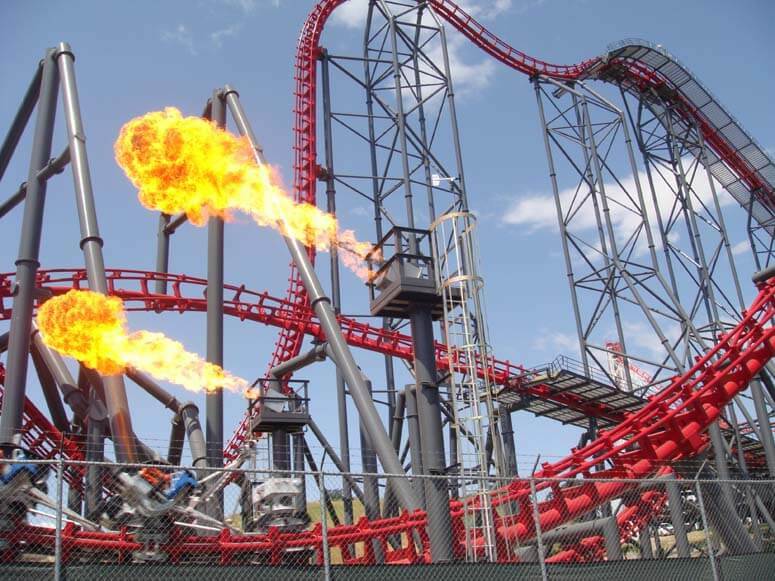 The flame throwers were installed on each side of the track next to each other, near the end of the ride. Since X2 was remodeled it has been the most popular ride in the park.